Youth Across Borders supporters are the backbone of our organization. Together, we achieve far more than we could alone. Inspired by the January service trip, one of our incredible team members came home from this trip wanting to do something to help her new friends and educate others about HIV/AIDS. After some research and much deliberation, this team member founded Bracelets Across Borders. 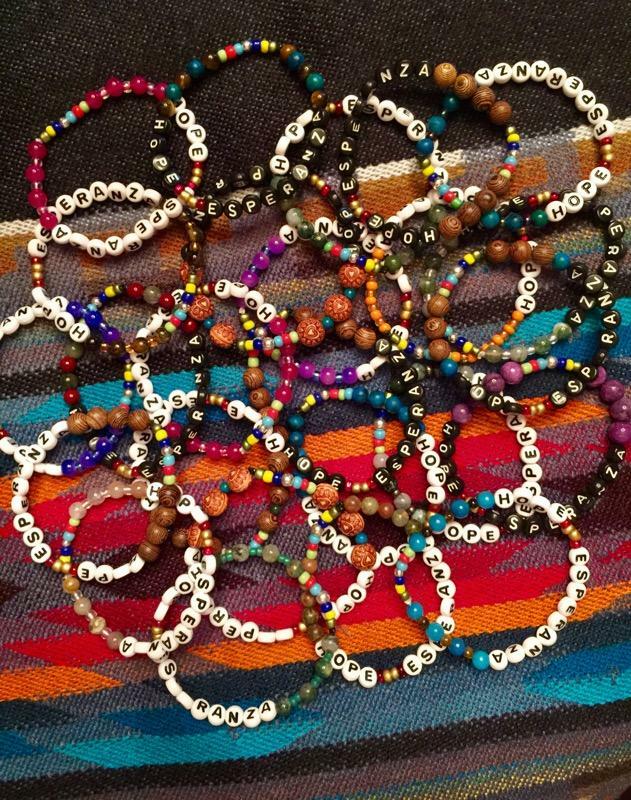 These beautiful handmade bracelets are designed to attract attention with the words “Hope” and “Esperanza” highlighted by various color beads. Each bracelet is accompanied with a card describing the meaning behind the beads and a few facts about HIV/AIDS. The card is a quick way to learn a few facts and then perhaps share the card with someone else. Why hope? After returning from their service trip, our Youth Ambassadors volunteer their time in the hopes of creating change by educating others about living with HIV, conducting HIV prevention workshops, and advocating for overturning harmful legislation for people living with HIV. It’s with this hope that we are asking for your help to raise $4,000. With that amount, we can fund two Youth Ambassadors to participate in a future service trip. As a small token of our appreciation, donors contributing $20 or more through April 30th will receive an exclusive “Esperanza” bracelet. On behalf of the Youth Across Borders Family, we thank you for your support.